Each of these policies represented a key milestone in ensuring the rights of people with disabilities to participate more fully in society. Inclusion in education took off starting with the landmark Brown v. Board of Education decision and the subsequent parent-movement belief that children with disabilities could be educated. As society’s view of education changed, more people challenged the idea that people with disabilities could only be educated in special classes. Today, there is an expectation that the best practice is for individuals to learn in regular classes with other students of the same age. Increasingly this also includes preparation for the world of work upon graduation. Up until the mid 20th century, people with disabilities often lived in institutions that were segregated from the community. Beginning with the “deinstitutionalization movement,” individuals with disabilities began to see other options that were more “natural” in the community, such as living in smaller scale group homes. Many also began to have options to live in their own apartments with occasional supports. These expectations have continued to develop, and now emphasis is placed on individuals choosing whom they live with and having their own apartment or owning their own home. Societal attitudes about employment of people with disabilities have also changed. As people with disabilities became deinstitutionalized, expectations about what they do with their lives expanded. Since most people work for a living, parents, self-advocates, and service providers began new approaches to engaging people with disabilities in employment. Initially, this began in sheltered workshops with the mindset that people with disabilities still needed some protection and could not quite compete with the mainstream workforce. Today, the expectation is that individuals should work in individual, integrated jobs. Strategies like supported employment, customized employment, and self-employment provide opportunities for individuals to find jobs that are a good fit and receive the support they need to help them keep a job and advance in a career. Family advocacy has had a long tradition in the developmental disability community. 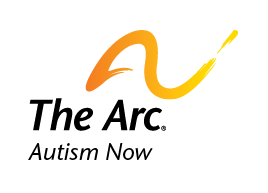 For example, The Arc started as a parent support and advocacy organization. Today, we are one of the largest nonprofits in the USA. Autism Society and Autism Speaks are key family organizations that are increasing awareness of autism spectrum disorders, making society more conscious of what the issues. Self-advocates are using their voice to help individuals with autism spectrum disorders and other disabilities find a place in society. For example, recent efforts by the Autistic Self-Advocacy Network (ASAN) and Self-Advocated Becoming Empowered (SABE) have shown that people with disabilities can influence policy to be more inclusive. For self-advocates, their goal is not to “cure” their disability, but to make society more universally designed so that people with disabilities can have equal access and ability to social life. Pearson, V., Y. Wong, and J. Pierini, The Structure and Content of Social Inclusion: voices of young adults with learning difficulties in Guangzhou. Disability & Society, 2002. 17(4). Date posted: May 18, 2011. Content created by The Institute for Community Inclusion at University of Massachusetts Boston. Last updated: March 21, 2018. Find similar content about: Autism 101, Community Life, Education, Employment.